Visit Annapolis - Friday Night Live! 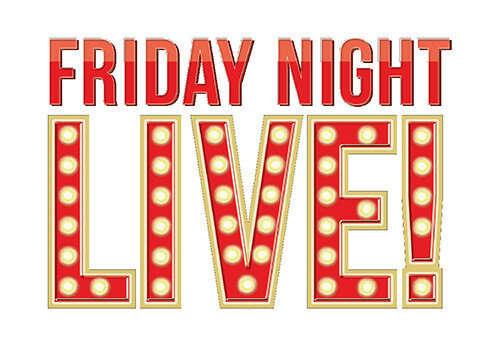 Join us for a night of fun and live entertainment as we bring you the top requested music at Live! Center Stage! 1st Friday: 80s  Rock out to the 1980s new wave soundtrack the first Friday of every month as we journey though the decades top 100 billboard hits you cant forget, like totally! 2nd Friday: Across the Pond  Journey with us to other side of the pond as the second Friday of every month features the best cover artists of infamous rock and pop bands such as The Beatles, U2, Queen, Abba, The Who and so many more! 3rd Friday: Motown  Jam with us the third Friday of every month and enjoy the soulful tunes out of Motor City and the world of Motown. 4th Friday: Latin  Heat up the dance floor with Salsa lessons every fourth Friday from SalsaNow and spice up your night with LIVE! Salsa music! 5th Friday: Funny Friday  Enjoy a night of entertainment for those Wacky fifth Fridays that come along. A comedy show, improve or a game show? Who knows what the night will bring, but you wont want to miss it! The new standard for live entertainment is at Live! Center Stage, a 500-seat performance venue, featuring state-of-the-art light, sound and video systems. A Baltimore favorite, the popular nightclub and concert venue presents the best in live entertainment, including a lineup of national headline acts and the hottest regional bands. The unique room design features a central stage area, two full-service bars, and a variety of eclectic seating groups and standing room, enhanced with rich lighting and dramatic architecture. It's a world-class venue ideal for many types of performances and gatherings.